Guatemala City became the capital of Guatemala after Antigua was destroyed by an earthquake in 1773. 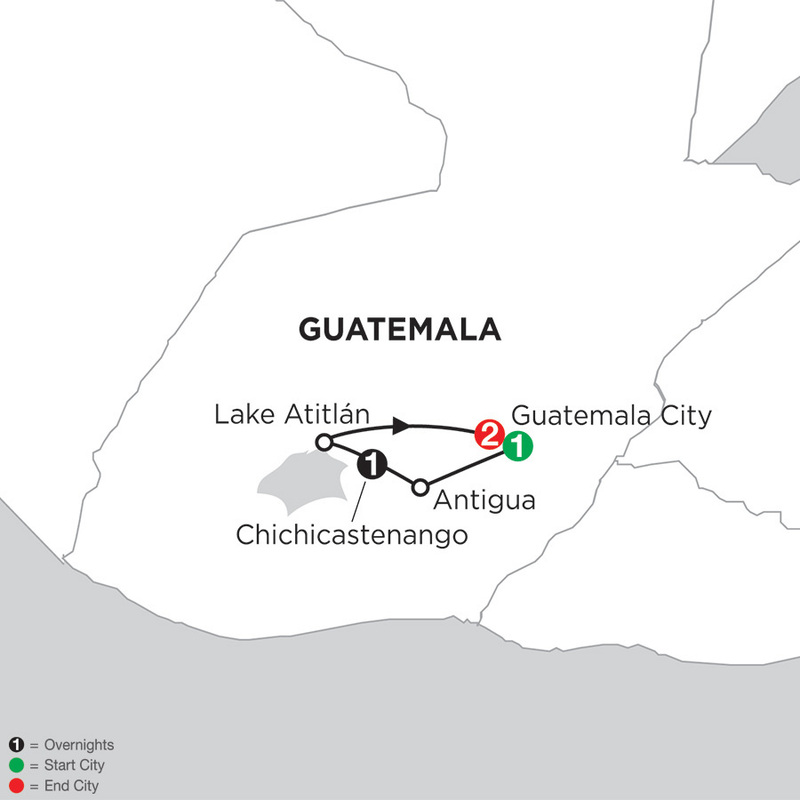 Called "Guate" by the locals, it is Central America's largest city and offers a variety of museums, interesting markets, ruins, and restaurants. Some of the city's main attractions include the Plaza Mayor, which houses many of the landmarks and is a place where locals gather to people-watch and relax; the National Palace of Culture, which once held the president's offices and now showcases paintings and sculptures by well-known Guatemalan artists; and the Zona Viva entertainment district, which houses the city's most expensive bars, shops, restaurants, and hotels.